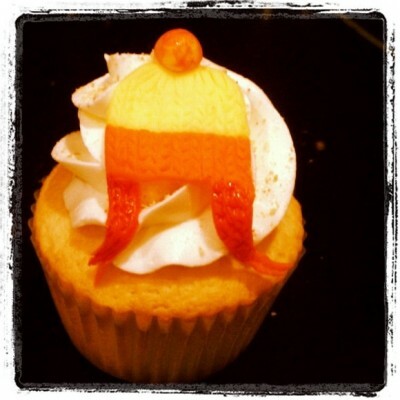 Okay, I know we are going a little old school here, but Firefly fans will immediately recognize this clever recreation of the great Jayne Cobb’s famous hat. This “Cobb hat cupcake” was created by Savoureux Cupcakery. And of course, the great Jayne Cobb is aptly portrayed by the great Adam Baldwin. This made me laugh aloud. Have y’all seen this new commercial for Special K Protein Drinks? Personally, I would have gone with the cupcake, but it’s still a cute commercial! These are pretty funny. Love Marge’s hair. 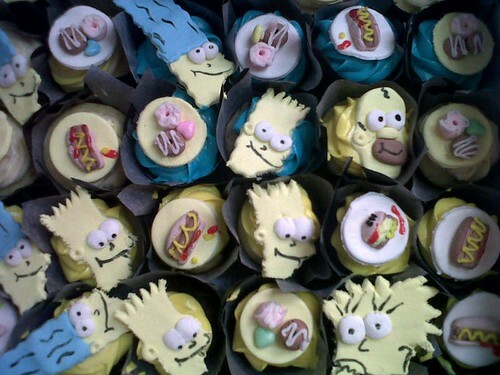 It’s hard to believe we’re still making Simpsons cupcakes–the beloved animated family has been around since 1987. I remember going to Simpsons themed parties when I was a kid, and that was quite a while ago. But I guess as long as we’re making Simpsons episodes, we’ll be making Simpsons cupcakes. Okay, so maybe I’m a tad obsessive, but I just can’t get enough of Shaun the Sheep! 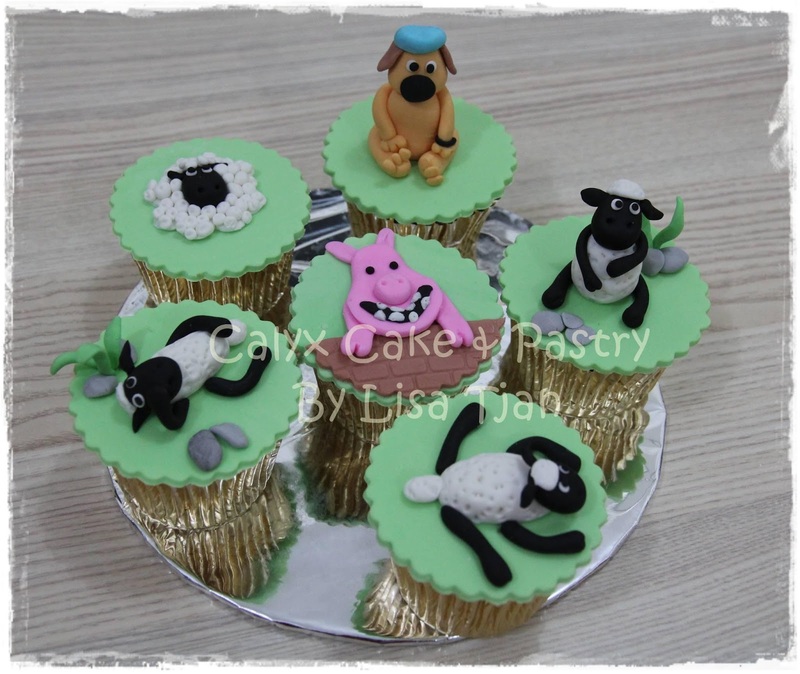 And I think these might be my favorite Shaun cupcakes so far. Does that frosting not look delicious! Those are some sheep that I could shear quickly! 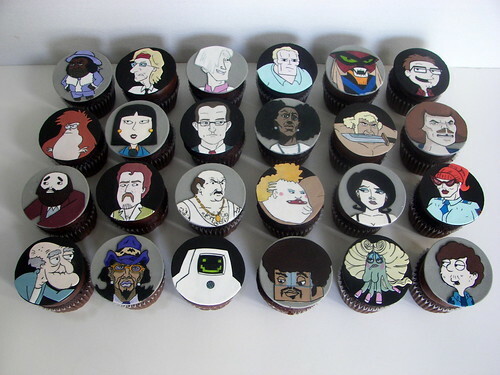 This photo is courtesy of Lisa Scranton’s Flickr photostream, where you can also find lots of other cool cake stuff! 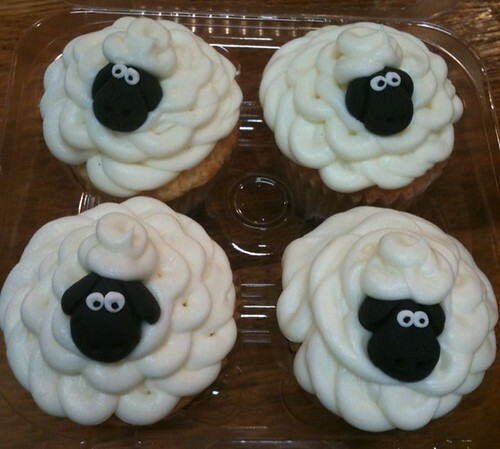 Check out these Shaun the Sheep cupcakes from Calyx Cake & Pastry! Impressive! Are you a night owl? Then you might recognize some of these characters from the Cartoon Network’s Adult Swim late-night programming block. These cupcakes are done by Death by Cupcake. The toppings are hand painted! Impressive!